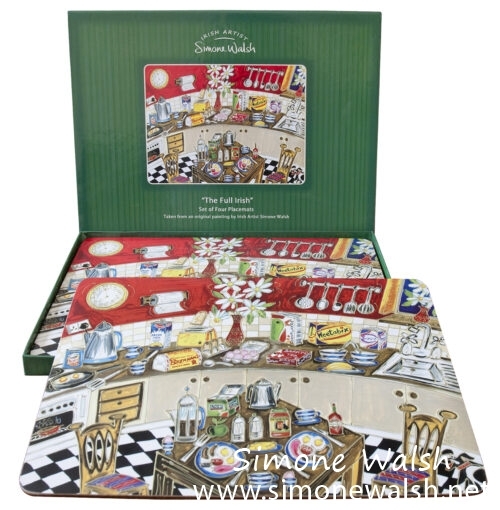 Taken form Simone’s original painting, The Full Irish design is inspired by her memories of lazy weekend breakfasts prepared by her mammy and enjoyed around a bustling kitchen table! Simone has designed her range of nostalgic Irish kitchenware from personal memory and experience of her childhood growing up in Ireland. 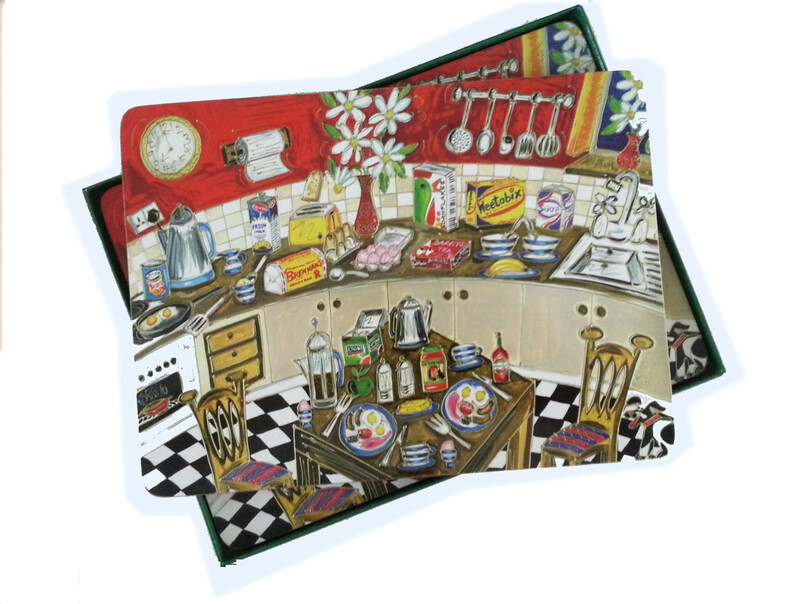 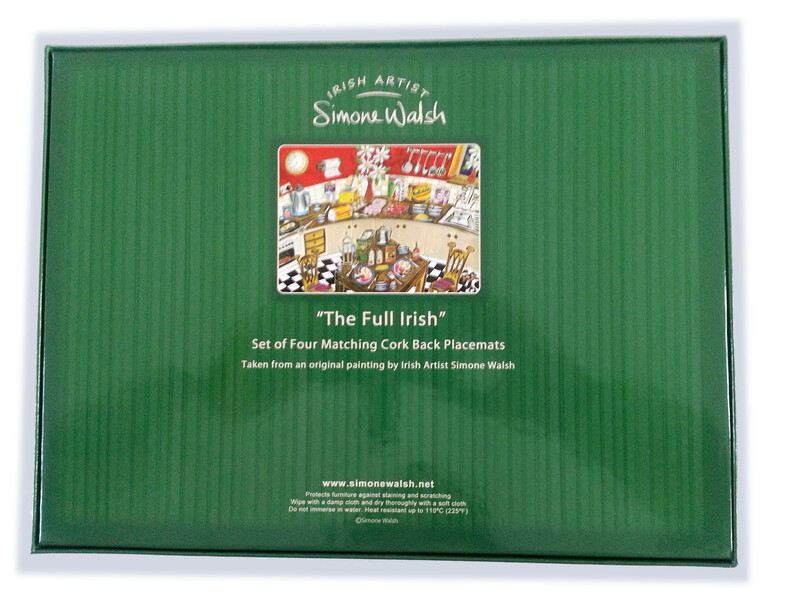 Boxed set of four matching cork-backed placemats featuring the best selling The Full Irish design.